Working one-on-one and with groups, I support individuals to become more powerful collaborators, more expansive thinkers and more inspiring leaders within their organizations. Identifying, and then intentionally breaking down, self-limiting automatic behaviors moves your organization into the future with velocity and power. This approach creates breakthrough results for individuals and teams who are ready to take their personal and group performance to the next level…and beyond. Life coaching opens up the world of possibility and leading an intentional life – the life that allows you access to your innate power, wisdom and wealth. Through exploratory conversations that create new awarenesses and actions, my clients discover new levels of fulfillment and abundance in all areas of their lives. If you are ready to take a look at what your best life looks like and how you can begin creating that life today, we should talk. 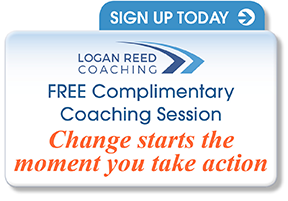 Coaching transforms lives through conversation, and I would love to have the opportunity to meet for a complimentary sample session where you experience the power of coaching firsthand.